It’s hard not to like any new electric car when you’ve begun a sweet cruise through forested roads on a clear blue day, your gauge reading a healthy, full 99 miles. That’s in the first five minutes. When you see that 99 dip to 98, 93, 88, “range anxiety” kicks in, and therein lies one big reason electric cars haven’t caused a revolution as some thought and hoped they would. That said, the e-Golf is by far the best version of any electric car I’ve tested. Like a low-fat product that doesn’t veer (too far) taste-wise from the original, the e-Golf resembles the full-fat Golf in most ways. It takes off like a shot, and brakes just as quickly. It corners like it’s angry. It doesn’t feel like a toy. Arriving at dealers in late November, the e-Golf joins an increasingly crowded field of battery-powered cars for sale in the coming year. It’s a 4-door hatchback whose electric motor makes 115 horsepower and 199 lb-ft. of torque, and it’s got one and only one gear. It’s got a 24.2 kWh lithium-ion battery, 7.2 kW onboard charger and, like all battery-powered whips, you plug in at night, zip off the next day, and repeat. If you want to take a road trip from, say, Patchogue to Woodstock on a Sunday, you’ll have to buy and use a second vehicle that runs on gas, bub.The e-Golf has three power levels, allowing drivers to choose performance and affect its range. 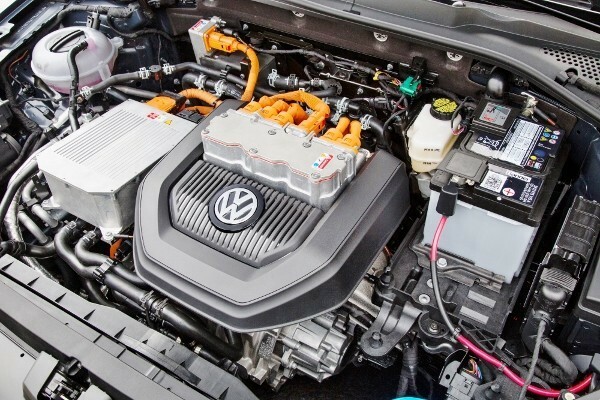 In Normal mode, the E-Golf gives the driver a full 85 kilowatts of power. The ‘Eco’ mode reduces peak power to 70 kilowatts and reduces the power consumption of the car’s air conditioning system. In “Eco +,” power is reduced to 55 kW and the air conditioning system turns off. Whatever mode you choose, full power is delivered when you floor the accelerator. Its top blastoff gets you from 0-62 mph in just over 10 seconds, beating the LEAF by a second, not surprising as the e-Golf employs an 85-kW motor compared to the LEAF’s 80-kW motor. 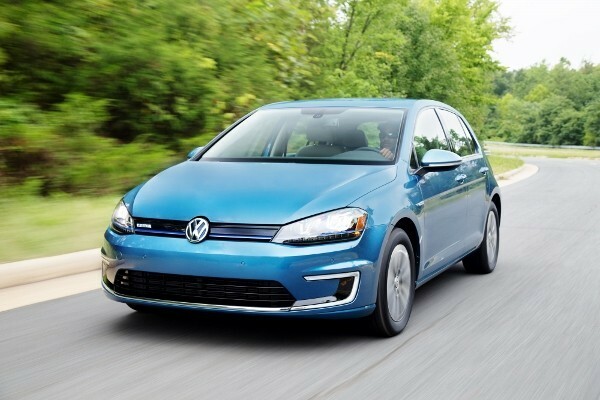 The e-Golf’s top speed is governed, preventing you from going over 87 miles per hour. Electric vehicles continue to improve each year, and the e-Golf currently makes the best case for putting down your Suburban or Armada for a second and joining the clear-air revolution.